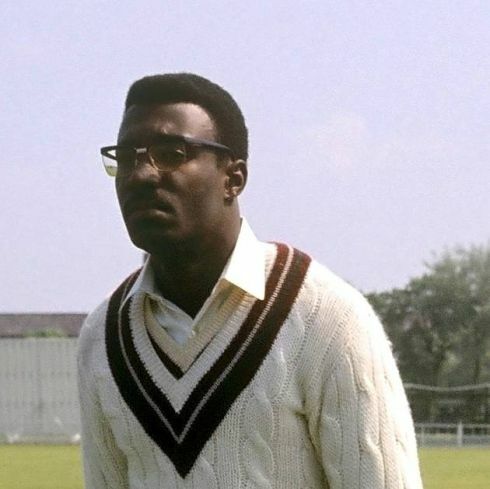 As a kid on a Sunday afternoon, I watched the last 20 overs of every John Player League game or raced home to watch the last few overs of a Gillette Cup match on Wednesday teatime on BBC 2, curtains drawn to keep the sun off the screen as Asif Iqbal and Clive Lloyd traded blows. Nowadays, there’s a T20 or 50-over game on Sky most nights of the week. How many of them do you watch? Me? Probably catch the end of a couple; no more. There’s too much on; the games all start to merge into one and I end up channel hopping. I fear the same overkill is happening with adolescent and to some extent senior cricket. In North Staffordshire, (where I have been involved for over 35 years as player, selector, County Committee member, junior team manager) there are at least 6 competitions all serving largely the same age bracket: U16, 17, 18, 19 and 21, the result of a massive push by cricket in general to increase participation numbers and keep kids in the game. There’s always been a natural decline in numbers as puberty hits, the game gets longer and rebellion kicks in. Beer and Fags became more attractive, although some of my finest team-mates had a penchant for one or the other if not both. But this “Never mind the Quality feel the Width” campaign will drive more away than it keeps. What brought it home was when the phone beeped last year and it was a text from U19 skipper asking my 15 year old to play Tuesday night. My son looked at me, sighed and said “I’d rather not, I’ve played Saturday, Sunday and Monday and there’s training on Wednesday and a Cup match Friday”. Before I trotted out the well-worn truism “I’d play every night if I was your age”, it struck me that I didn’t: there weren’t the opportunities. Clubs ran one side of U18’s and you fit in, usually as a fielder, until it was your year (not turn) to bat. And if you were good enough, you got a game with the Sunday 2nds. Field well enough and you may be considered again (if they were short). A lot of what’s happened since is great: an expansion of age group cricket; getting kids in at the top of the funnel playing softball cricket; U11 and U13 cricket as an inclusive game. I think Pairs is a great format too: more kids pack in around that age because they don’t get a bat and a bowl than I suspect any other reason. The youngsters that come through can’t all be 1st teamers. Clubs need 2nd teamers and they need treasurers and secretaries. It’s those that carry on playing because of their love for it rather than their excellence that tend to keep Clubs going. One thing’s for certain people don’t pack in cricket at 15 because there aren’t enough games. Those that do walk away don’t really want to play that much or – to be completely politically incorrect – aren’t really good enough to get in a particular side. As a good friend of mine says, “There’s game of cricket for everyone”. What he means is that there should the opportunity for players at whatever level to enjoy the game. Put cricket in the right format at the right ability level and they’ll keep more than they are doing now but if you have a structure that is producing meaningless mismatches then the trend will continue to be where players get disillusioned. To increase participation, then look at the structure as opposed to pure numbers. Meaningful participation is probably more prescriptive than just number crunching. The NHS may carry out thousands of operations per year, but how many are in-growing toenails and how many are heart bypasses? This is a case of less is more, structure local Leagues on the basis of ability not geography and ensure that most games are competitive. In the case of our club’s region (and there’s no reason this couldn’t be the same across the country), it’s based in North Staffs not New South Wales, and on a Sunday morning most places are reachable in 30 minutes. Make U17 games such that 8 or 9 players are involved each week instead of the 2 or 3 that dominate in a 200-0 plays 25 all out. The advent of age group cricket at U8 means that by U17 there’s a pretty good idea of which sides are going to be strong and which aren’t. We play a club each year where, at one particular age group, we both agree it’s been a waste of time for 7 years as one is significantly stronger than the other. Clubs that have weaker sides lose more players because they are disaffected by the mismatch, consequently less go on to play senior cricket. Worse still the junior section folds through a lack of interest and the club then fails to meet the criteria to play senior cricket in an ECB League despite having a good senior team and facilities. So many games and so many different competitions are also detrimental to the quality of performance, partly through tiredness. Lest we forget, along the ECB corridor from the participation office are those sending out fast bowling directives about so many overs per day and even per week. So who opens the bowling come Thursday when we’ve played all week? In addition, the glut of cricket means the batsman doesn’t learn to value his wicket in the same way. It’s like the man missing the bus: “Don’t worry there’ll be another one along in a minute”. It’s not all about top end quality though. There’s room for the social player, even a junior league for ‘development’ or genuine 2nd/3rd teamers, so as to avoid thrashings. Put a side in a weaker league specifically for the lads who can’t get a game in the U17’s, at a level they can flourish or at least compete, and chances are they will stay in the game as adults. It’s a leisure activity, not a young offenders’ sentence; to continue playing they need to have the satisfaction of some personal and team success. Over-participation will inevitably lead to disenchantment. Those parents with no inherent love for the game grow disaffected by the time constraints, watching other folks’ kids do well and the blessed weather. Going to five games a week is bad enough but when two are rained off, it’s soul destroying, you’ve still made the commitment, turned another down or left work early to get them there and that’s before you sit and watch it rain for an hour just in case it stops. The weather may be uncontrollable, but the amount of times you’re affected by it can be. There’s a lot of job justification behind this and perhaps even some parochial empire building. Think about H&S Officers or Auditors, who feel compelled to do/find something to justify their existence. There are many more people making a living out of our amateur game than ever before and they need to be seen to be doing something or obeying edicts from on high. It’s a numbers game, and a decent 15 year old is a valuable statistic: get him playing senior cricket together with some representative games plus his junior commitments and he’s a good number. Short term marvellous, but where will he be at aged 25, 30, let alone 50? Think too of the volunteers, those that are ferrying them about; of the ground staff that have to find time amongst all these games to prepare the good surfaces (and that’s as vital for junior development as any other factor); and of the Mums and girlfriends, who may not be so enamoured by the game, never mind the washing of the whites four nights a week. Have a winter break. Let them play football or rugby. I know of good footballers who are not picked for county representative sides because they play football instead of going to winter nets. The County side surely shouldn’t be for the best XI cricketers who also happen to be crap footballers. RIP Denis Compton. And while we’re on the subject, instead of setting football and cricket coaches off in direct conflict, can’t we get some liaison between the Governing bodies so that football finishes before cricket starts & vice versa. I know there’s some overlap, but do we have to play the 1st round of every cricket cup in April and do the football coaches have to have so many pre-season friendlies and tell kids, “You won’t get in the side unless you play”. U16’s have from mid-June to September with no school, so may just be glad of an evening cricket match (that doesn’t clash with an end of April Soccer Cup Final which they’ve fought hard to reach) when it’s a bit warmer and not in the fading light with freezing fingers. What’s more this increased thirst for participation is leading to overkill at senior level too. Our 3rd team play in the 5th tier of local league cricket, by halfway they will have played 18 games. These aren’t leading lights in the game, they’re social cricketers. Some are aged 45+ and others are GCSE students, those same lads who are in the colts and junior sides (2x 15 year olds had played 7 matches by the end of April). There are 14 teams in their Division and they’ve got compulsory entry in 2 Cups. So that’s at least 28 games!! The newly married captain is at his wit’s end as is his new wife; he’s not likely to become a new father anytime soon! By the time he’s sorted teas, scorer and selection for two games a weekend, he’s back at work. Do you think he’ll be skipper next year….? They had a 2nd round Cup tie on May Bank Holiday weekend, the side they beat in 1st round had 8 men. Word is the Committee thought they should enter a team but players didn’t want to, so some of them turned up to avoid a £150 fine. The game lasted 80 minutes; 31/7 in 12 overs played 32-0 in 6 overs and the umpires cost more per minute than some of those less than salubrious chat lines. If you’ve got to have a row with the good lady this week as to whether you can play or persuade your Mum and Dad if you can skip GCSE revision, how hard are you going to try after that match in case it’s the same again? I suspect the reason I’ve maintained the desire is that I played as often as I was available not just to fulfil obligations and certainly not to compete in around 10 different competitions per season but to enjoy a game. And there was also time for other things: beer, relationships, song and some academic progress. No summer holiday, granted, or one that lasted Mondays to Fridays at best, but I still managed to never once utter “I’d rather not” when offered the chance of a game until I was into my forties and aching bones meant that it was going to hurt a lot more to say Yes to a Sunday friendly than No. If you had played club cricket every night, plus district, maybe county and then twice at a weekend (because the club needed you as a body to make up the numbers), followed by winter nets and ‘extra’ specialist £25 an hour one-2-one coaching, do you think you'd still be playing aged 50….? I know I wouldn’t be! I’m still not by the way, but only because of an injury picked up aged 49!! So I said to my son: “No, ok, have the night off, they’ll get someone else”. 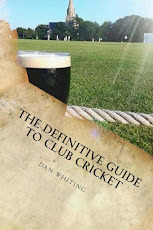 All very true and there is a disconnect between Clubs, , Junior Leagues (that operate independently), Counties and the ECB dictats. The BEST and I mean the ones who fit the demand for all-round players (not specialists) disappear into County and/or Area cricket and their parents will prioritise that ahead of other except maybe school cricket. While I see benefits in academy's and pathways you develop 'real' cricketers with common sense and experience by exposing them to real cricket not a season of dominance over weaker opposition before going back to the winter nets. As far as volunteers go we are in danger of burning out teenagers by asking them to also supervise All Stars Groups before their own practices. I am 50 but last year picked and chose my games and enjoyed every one rather than another year of league commitment. Many of those dumped by counties only pick up a bat or ball when they reach University as work sports clubs and cricket no longer exists.